I love you always & always & always Read more.. The cute Charm-Bamba is a LORADILORA® collector's staple. 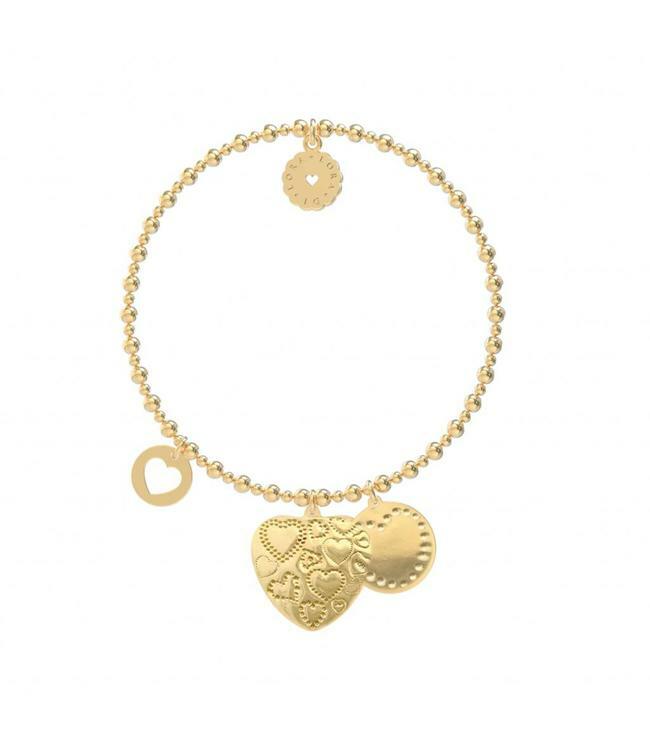 This delicate, hand-made piece features 18c vermeil gold 2mm round beads and is hand-threaded on high-quality jewellery elastic, with a stretch fit that will sit comfortably around any wrist. The Bamba bracelets are 17cm inner circumference. 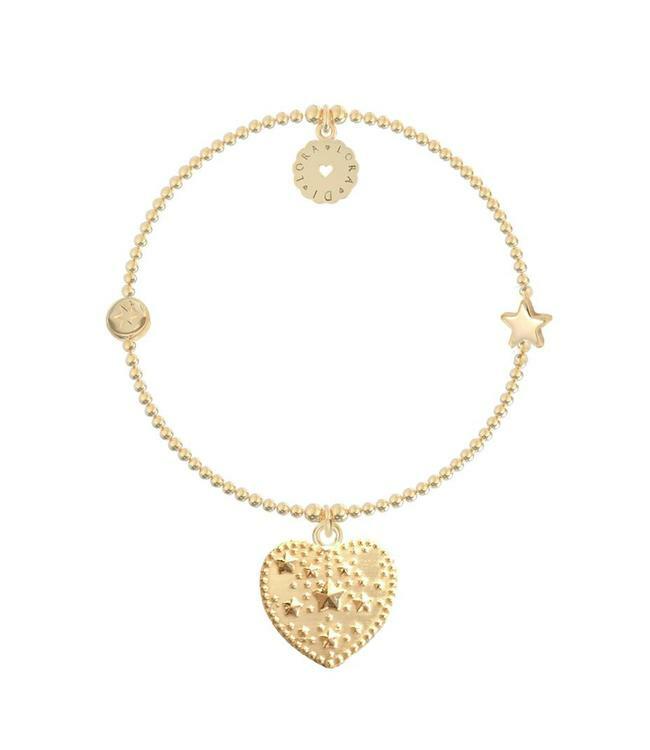 Wear this bracelet on its own for a classic look or add a few to your stack and collect them all, each with its own valuable meaning. This heart-shaped charm of only Ø 2cm. with 50 engraved hearts and the text "I love you" says more than words will ever say!